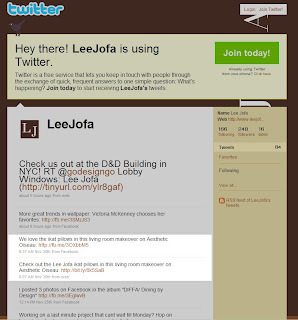 Friday evening, I was excited to come across some love for Aesthetic Oiseau on the Lee Jofa web site. 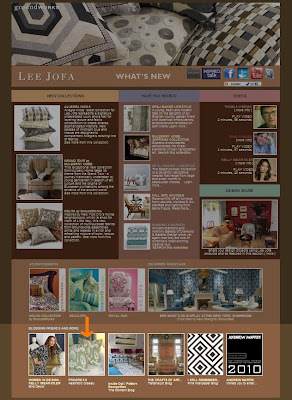 Check out the What's New page of the site...those are my pillows at the bottom of the page (made using LJ's Sassari Ikat). You know, next to the picture of Kelly Wearstler. 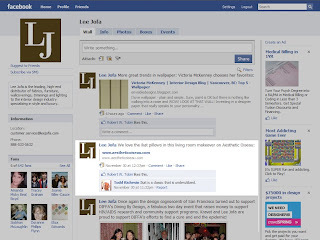 And a little search found that the social networkers over at LJ also posted about the pillows on Facebook and Twitter (click on the images to see them bigger). These are the things that excite a blogger (especially a new one), so I wanted to share with you. Thanks for the mention LJ...and any time you'd like to send me samples of your fabric to "test" for pillows and curtains, feel free. 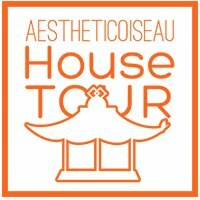 We love your blog, thanks so much for the mention! Um yeah...major for even an "old" blogger - awesome, and kudos to you!